DGA-C1 Tower Clock Dial Gear Assemblies 96″ (244 cm) and under. Also known as “tower clock motion works”. Compatible with our XMI 4-way tower clock movement for dials up to and including 72″ (213cm) in diameter, and our XXMI over 72″ (213cm). 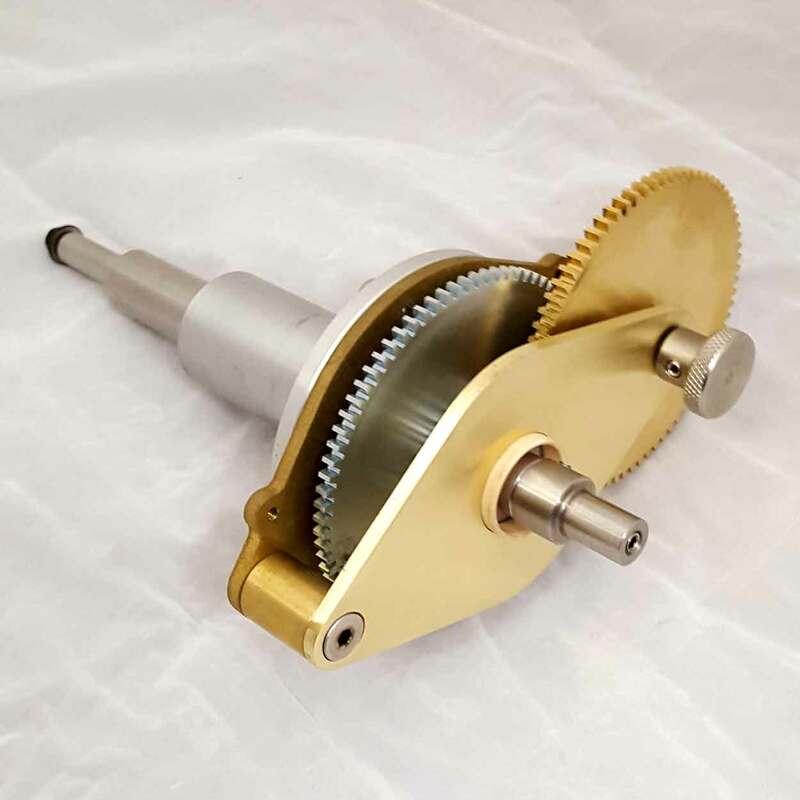 Can be used for replacement of existing mechanical tower clock dial gear assemblies. Stainless steel hour hand shaft and minute hand tube. Anodized aluminum extension bearing. Aluminum Case. Clamp collar for easy mounting and adjustment. Standard C1 Style Clamp Hand Hubs. Smaller Size b28 Style shown here.